You have your landing page. You have your Call-to-Action and your PPC campaigns in place. Once a prospect lands, how are you capturing and gathering that information? Lead capture is paramount to all of your efforts. How do you capture and organize this data? Luckily, there are a lot of options available today to accomplish lead capture. Several systems like HubSpot have this included, but they can get very expensive and remain cost prohibitive for new companies. We’ve compiled some of the more popular options for lead capture. This is not a comprehensive list but should start giving you some ideas on how you to start getting leads. Leadformly is a great, easy way to make beautiful lead capture forms. You will pay a monthly fee for this service, but, forms are easily embedded into any website. 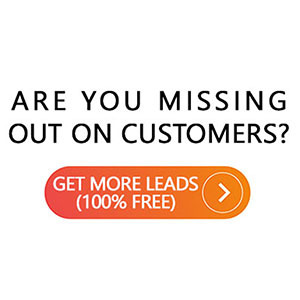 Leadformly is also one of the top choices if all you want to do is make high lead converting forms for your landing pages. A great option with a one-time fee. 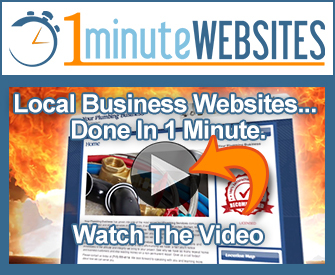 Ninja Forms is a great lead capture option for businesses using WordPress for their website. There is also a free version of Ninja Forms. While you won’t get all of the functionality of the paid version, you can still make powerful, usable forms for free. Another lead capture option for WordPress users. You will pay an affordable yearly subscription in exchange for powerful tools that directly integrate into your WordPress sites. Gravity Forms offers multi-page forms and a large variety of field types. Gravity Forms is a great option especially if you need e-commerce functionality. Great for building surveys, and not restricted to WordPress only. If you are looking for more straightforward lead capture, there are better options available. However, if you need a quick, easy-to-use survey tool, SurveyMonkey might be for you. It’s very easy to setup powerful surveys for your prospects. A native WordPress plugin with a free option available. If all you need is a quick lead capture form solution, this may be a good option. If you can adapt in the name of cost savings, FormidablePro does offer a Free Option. There are no options for multi-page forms or surveys, but if you need simple forms, FormidablePro could be your best bet. Another great survey option. Build beautiful surveys for your leads to go through. However, it can be difficult to get your forms and surveys to match your branding. If you need straight forward forms to gather lead data, there might be better options. If you are looking to easily make beautiful surveys for your website Typeform is a great option for getting user opinions. This list just scratches the surface of what’s available to you. Try some free trials. If you can, try a month of a couple of these options. Or, search for some other options you have. Each business is different and has different requirements for their tools they use. Is it Time for a Business Blog?